As adults, we all know the classic fairy tales. So sometimes, we forget all of the wonder and fascination that these timeless tales can hold for our kids, who are just hearing them for the first time. 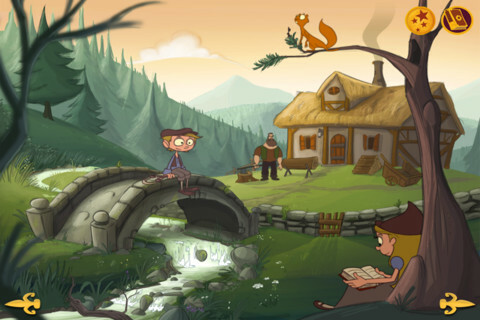 EnterHansel and Gretel- Epic Tales Animated Storybook, developed by Epic Tales. 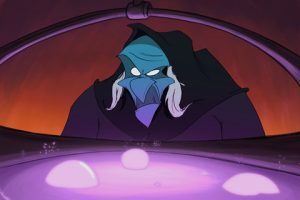 This outstanding book app offers entrancing graphics and outstanding voiceover narration, so even adults who have heard the story a thousand times will enjoy hearing it in this new format. And guess what? Kids will love it, too. 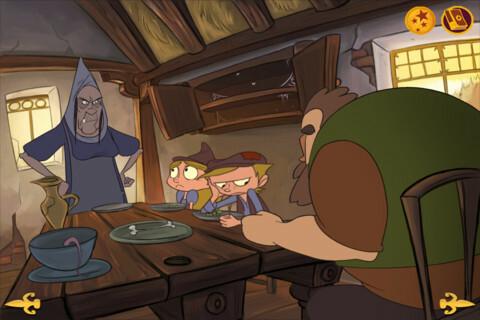 The tale is digitally hand-drawn by award winning animators and features stunning 2d animations and cut scenes. It’s got a visual look that’s just as good as any classic Disney animated film. But even better than the lush, unique visuals are the many wonderful audio elements in the Hansel and Gretel – Epic Tales Animated Storybook. The voiceover actors are very professional, and the audio quality is great. Also wonderful are the various musical themes, which add a lot of texture and atmosphere to the story. 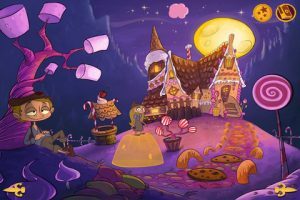 Hansel and Gretel is always a bit of a tricky story to tell kids, because it really is quite dark. This adaptation is a little on the scary side, so parents need to use their own discretion to determine if it’s too much for young kids. The App Store rates Hansel and Gretel as a 9+ title, but younger kids who are more mature and into scary stories may be able to tolerate the story just fine. If you’re looking for a new story to share with your kids via iPod or iPad, the Epic Tales approach to Hansel and Gretel really can’t be beat. With immersive graphics and the ability to let kids read for themselves or be read to, this outstanding iPad storybook app is a must-try. 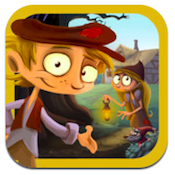 Hansel and Gretel- Epic Tales Animated Storybookis compatible with iPhone 3GS, iPhone 4, iPhone 4S, iPod touch (3rd generation), iPod touch (4th generation) and iPad. Requires iOS 4.3 or later. A small expedite fee was paid by the developer to speed up the publication of this iPad app review.